Nintendo has sold 23 million Switch units since the system launched in March 2017, according to the Japanese gaming giant’s latest financial earnings report. For context, this puts the Switch past the GameCube, Nintendo’s sixth-generation console which debuted in Japan in September 2001 and went on to accumulate 21.74 million in lifetime sales. The Switch had already surpassed the 13.56 million lifetime sales of its Wii U predecessor as of January 2018. In its new earnings report, Nintendo also revealed that over five million Switch consoles have been sold in the past sixth months, marking a slight increase in sales from the same period last year. This resulted in a 34 billion yen ($301 million USD) profit in the last quarter, up from ¥30 billion a year earlier. Quarterly sales, meanwhile, rose to ¥221 billion ($2 billion) from ¥220 billion, behind company estimates. In terms of specific game sales, Nintendo confirmed that three Switch games have sold more than 10 million units to date. Switch launch title The Legend of Zelda: Breath of the Wild sits at nearly 10.3 million sales, while Nintendo has sold 11 million and 12 million copies of Mario Kart 8 Deluxe and Super Mario Odyssey, respectively. Altogether, Switch software sales stand at around 42 million. On the mobile front, Nintendo said its recently-released Dragalia Lost role-playing smartphone game has done well in Japan, the U.S., Taiwan and Hong Kong. Nintendo has yet to confirm a Canadian release date for the game, however. Looking forward, Nintendo has several major titles coming out in the next several months. Pokémon: Let’s Go, Pikachu and Let’s Go, Eevee! are set to release on November 16th, while Super Smash Bros. Ultimate will follow soon after on December 7th. 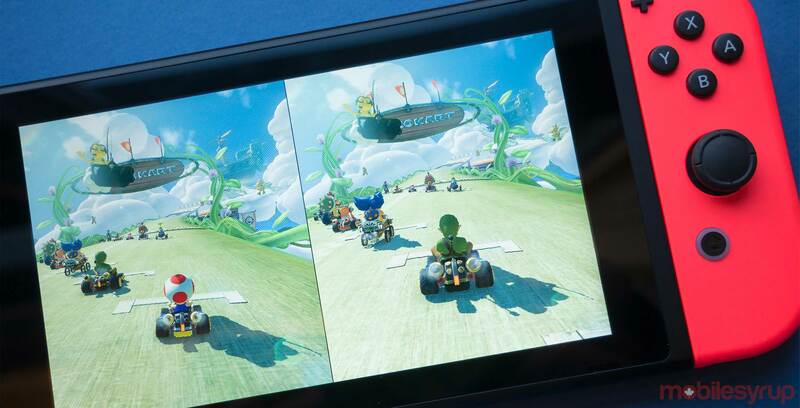 Nintendo also plans to release Mario Kart Tour, a mobile version of its ever-popular Mario Kart racing franchise, sometime before March 2019. Nintendo has previously released DLC for some of its games, such as an additional difficulty mode and new story content for Breath of the Wild and new outfits for Mario in Super Mario Odyssey. However, Furukawa’s comments indicate that further post-launch support could come to these and other titles.